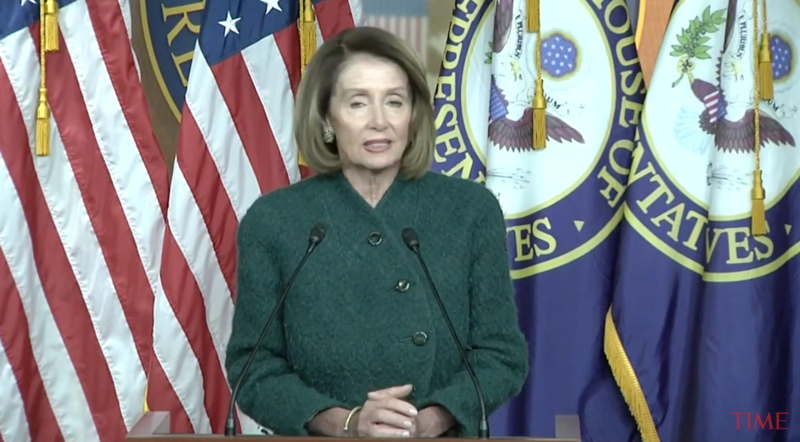 The Daily Caller asked Pelosi at her weekly presser if she would still describe the border issue as a “manufactured crisis” to people who have lost relatives to overdoses from the drugs flowing across the border, or to families that have lost loved ones to crimes by illegal immigrants, like Corporal Ronil Singh’s. Singh was allegedly murdered by an illegal alien during a traffic stop in California in December. “And as painful and as horrible one death is, whether it’s the corporal or whether it’s the children, but the fact is we have to have public policy that secures our border and there’s what the president is proposing will not eliminate those possibilities,” Pelosi added. “He has not told the truth when he said he asked me if, in 30 days, I would support border security and I said no. He knows the people in the room know that that was not what happened. What he said in 30 days will you support the war, and I said ‘no.’ He went out and said something completely different because he knows he knows we all support border security and that there’s a better way to do it,” she said. “He talks about drugs coming into the country 90 percent of the drugs come in through the ports of entry. So what we are proposing is to build the infrastructure of the ports of entry strengthen that- the ports of entry,” she continued. Additionally, the speaker said the Democrats want hundreds of millions of dollars spent on scanning technology to scan cars coming through for drugs and contraband and weapons.